Optional V-Drive one piece reaction arm. • Push through drive with ball locks. • Most versatile, patented reaction arm. Arm never needs to come off tool for resetting unlike competitors. Adjusts in all directions with posi lock locator buttons. Totally unique design. 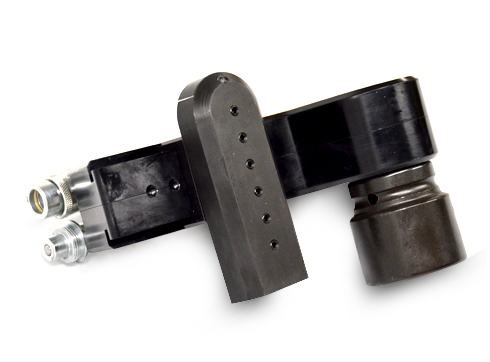 • Thinnest width square drive tool on the market…totally enclosed. 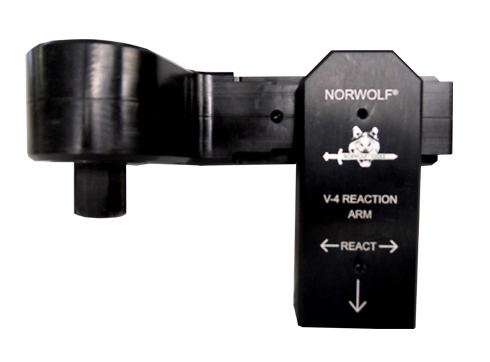 • Optional solid reaction arm available. The fastest, most versatile square drive. 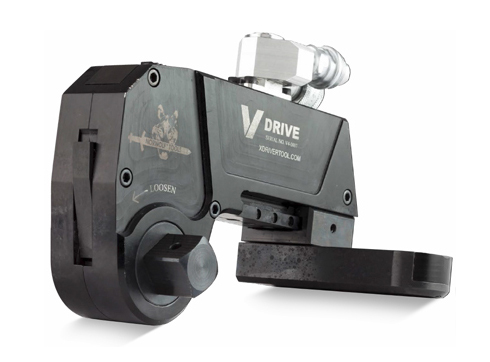 The V Drive completes the X Driver system with a dedicated square drive. Lock in the X Driver to complete the tool. The V Drive boasts a 40 degree power stroke making the tool 30 percent faster per stroke. 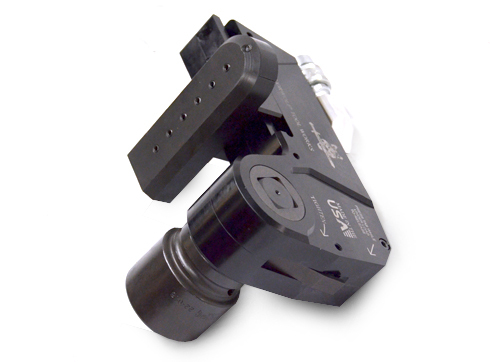 With a push through square drive, reaction pawl, lack of shroud and aluminum body, the V Drive is the tool of choice for socket driven applications. 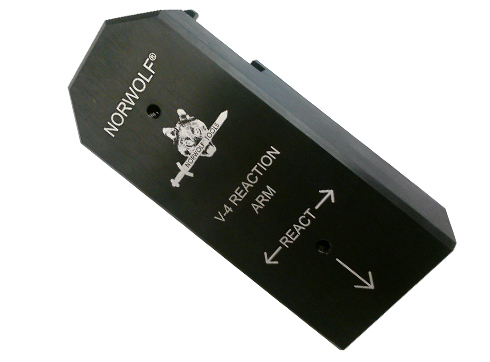 The multi-plane universal V Drive reaction arm has the largest reaction area of any tool. There are eight different settings along the length of the tool, 360 degree adjustability and height adjustable settings to fit more applications than ever.